Why Should Every Bank Have a Banking App? We all live in a digital age when everything you need is literary at your fingertips. No matter whether you want to order a cab, to buy food or to book a room in a hotel, all you need is a smartphone. Users quickly got used to the pleasure of saving time and money with all the user-friendly apps available on the market. Who needs all that paper bills if you can reach all the necessary banking information and pay the bills from the comfort of your home with saving a tree as an additional bonus? If a user has a question, he or she doesn’t even need to call the banker anymore, it’s enough to type it in the chatbox to get an instant answer. Add the security alerts and it’s no wonder that availability of the convenient and safe banking app is one of the deciding factors when choosing a bank. Mobile banking reduces the bank’s expenses by saving on paper, bills delivery, a number of employees and consequently on running branches. Mobile customers are considered to be more engaged, they stay with their bank longer, make more transactions and use more bank products. 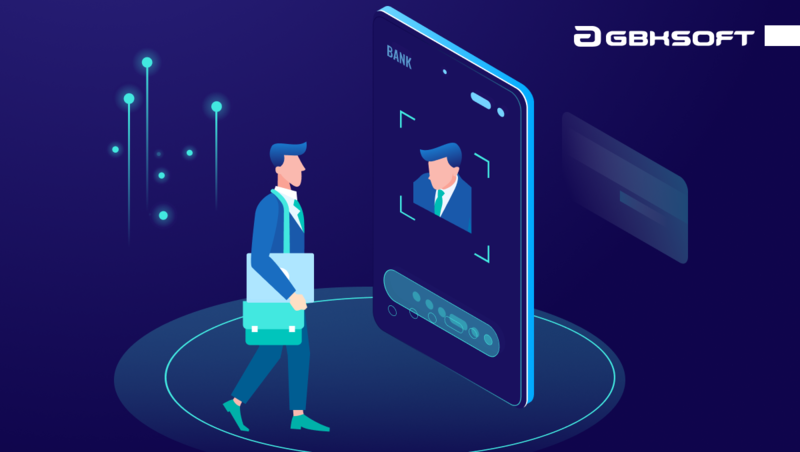 Using mobile banking apps increases user experience by providing services 24 hours a day, whether it’s monitoring their expenses, making instant payments or getting some user support via chatbots powered by AI. Mobile apps are generally provided with an increased level of security comparing to reaching a bank account online using internet banking. Metrics based on user behavior in the app can be collected for the reason of personalization and service improvements. Expanding from regional to national – banks can expand their customer base without opening new branches, which can lead to high expenses. Multi-factor authentification – secure sign-in is a must for every banking app. The highest level of security can be achieved by using one of the client’s biometrical parameters. Client profile – this is the part of the app client sees after logging in. He or she can check the current balance, make transfers, set regular payments or manage savings. Customer support – is mostly represented via chatbots. However, clients can get some human help when needed without the need of calling to the bank’s call center, wasting time by listening to the music on hold. Map – users should have an opportunity to find the nearest ATM or physical bank branch when needed and find out about their working hours. Push-notifications – is both cheap and convenient way to inform clients about their balance, the payment they have to make or to give other reminders. Scheduled payments – is a very useful feature for those who have regular monthly payments to make but keep forgetting to do it on time. Security alarm – if a card is lost or stolen, clients should be able to report it and it will be blocked in a matter of seconds. Additional functions – apart from these basic functions, banking apps may offer nonbanking services, give some personal offers, provide analytical reports, etc. Transferring the banking services online turned out to be so popular, that banks with no physical branches appeared on the market. Due to the reduced spendings on staff and office’s rent and maintenance, online banks offer higher deposit interest rates, lower or absent maintenance fees, meager transaction fares and other benefits. In spite of all the benefits, some users may be reluctant to trust a bank with no physical presence, but the successful online banking experience should definitely be applied to combine best of both online and traditional banking. Before building any kind of mobile app, the first thing to consider is the target audience. According to Nielsen, the most common users of any banking apps are Millenials (aged 21-34) closely followed by Generation X (aged 35-49). With the standards of UI design raising every year, we expect banking apps to follow the trend of user-friendlinessand clear design, that can be applied to any app, actually. When talking about security, according to Javelin slow and complex identification process was one of the reasons why customers stopped using their bank’s apps. To simplify it and yet keep secure, biometrical verification should be enabled in the banking app. Also, the function of account open should be provided in-app. Previously, customers had to go to the banks personally to do it before any operations were available in the mobile app. But what is the reason to use a banking app if you still have to visit its branches? 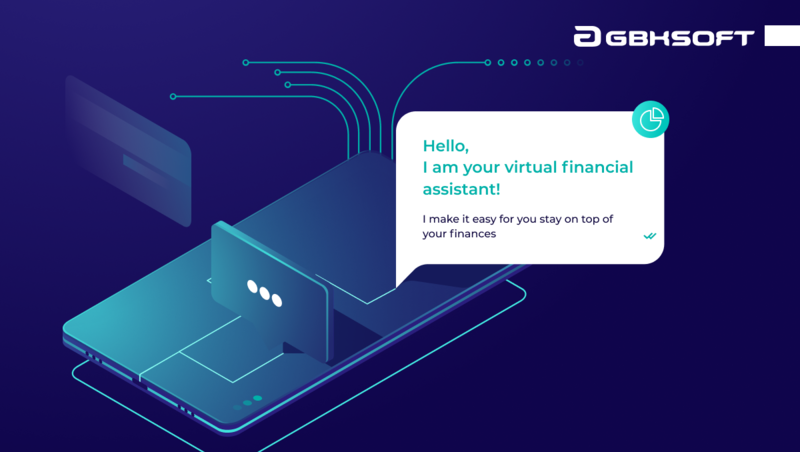 Artificial intelligence is on the rise and nowadays the AI customer support is becoming a must for the banking app, being beneficial both for the banks and for their consumers. As we can see, the world of fintech will never be the same. Bank clients don’t have to waste their time visiting the bank branches and going through endless paper bills, while banks don’t have to spend fortunes on maintaining a zillion of branches and staff anymore. Still, mobile banking is not going to replace the traditional banking system as we know it, at least not in the next decade. But providing clients with user-friendly and secure mobile bank app is the goal for every bank worldwide, no matter how big or small it is. Want a consultation on developing a banking app?